There are different ways to exchange information. 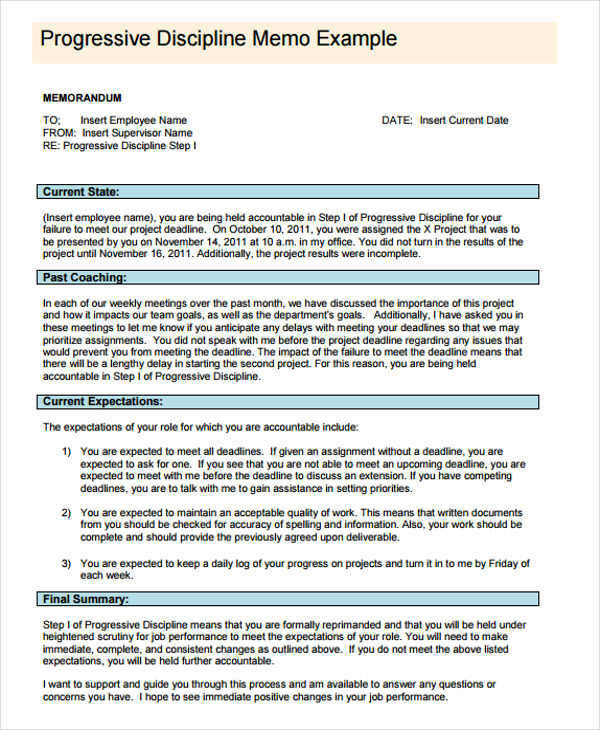 A business formal letter is used as an instrument of communication among different companies or between the company and the clients, while business memorandum is a formal document used as communication among the people within the organization to exchange data or announce some important changes or information. Memos are set to be shorter than formal letters. There are different types of memo that play different roles and contents. 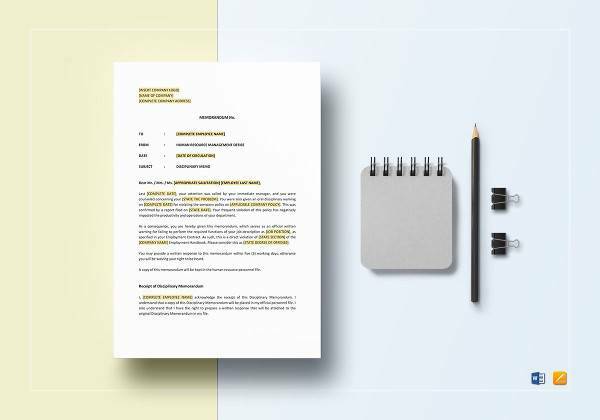 Some of the types are the following: operational memos, financial memos, confirmation memos, announcement memos, request for action memos, response to an inquiry memo, and disciplinary memo.You may also see budget memos. What Are the Types of Disciplinary Actions? 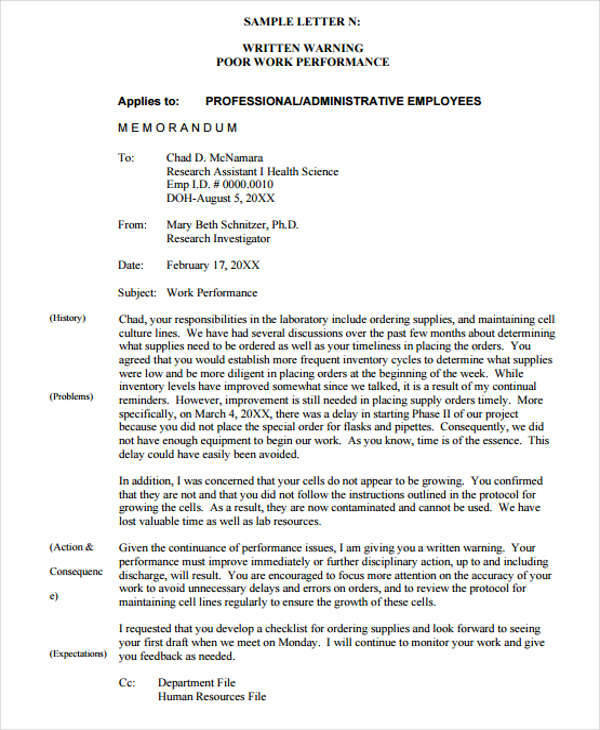 Based on the sample memos, one type of memo that contains information that need immediate response is disciplinary memo. 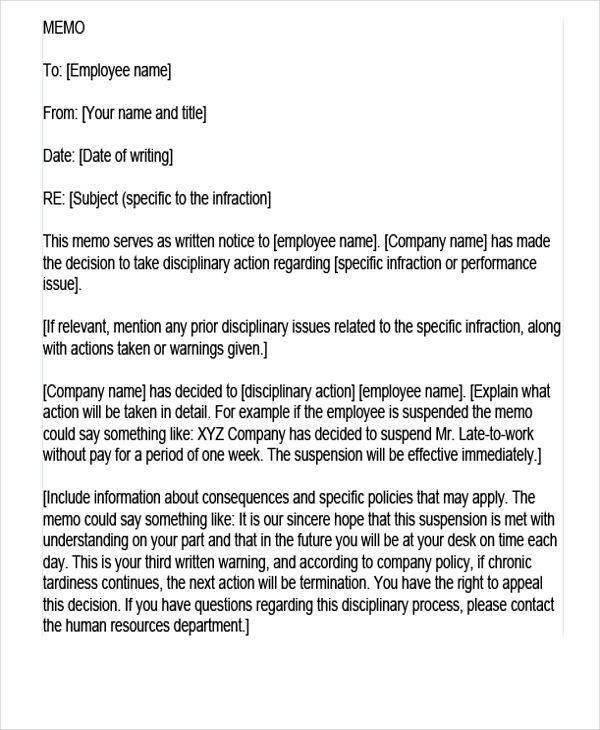 You can use memo templates for written disciplinary action. 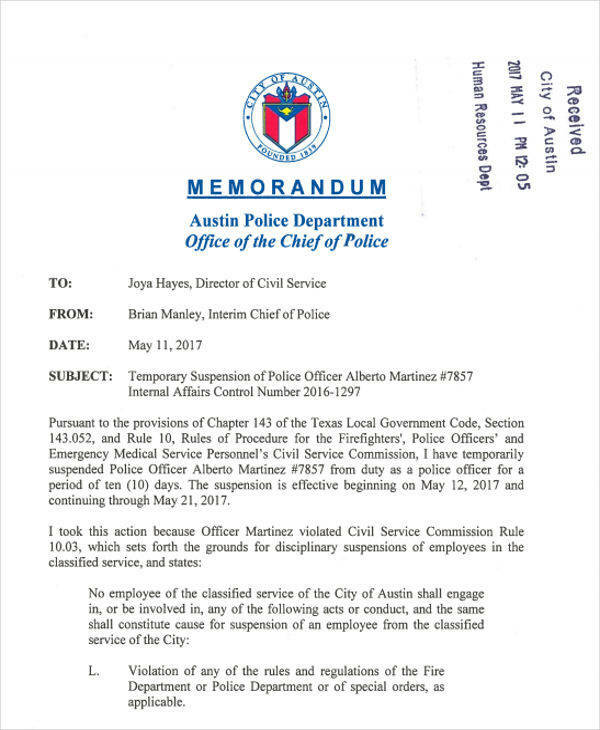 The company should have a protocol for what procedure and memo format to follow whenever a disciplinary action is needed. 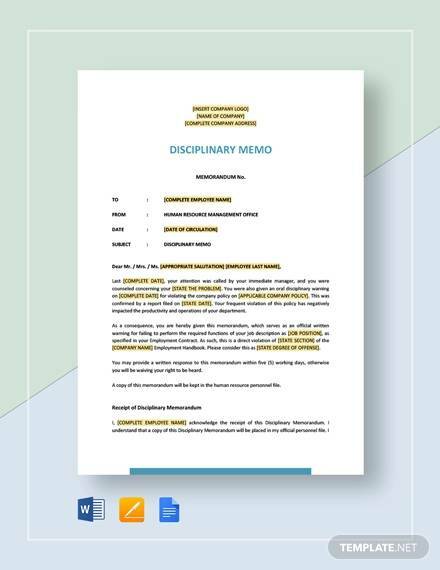 These disciplinary procedures should be included either in the employee contract or employee handbook where it is easily available for the staff to read. It should contain details on what behavior and performance qualifies disciplinary action. 1. Set out a letter regarding the issue. 2. Set a meeting to discuss the issue. 3. Conclude a disciplinary decision. 4. Give a chance to appeal this decision. 2. Provide the problem or main issue immediately. 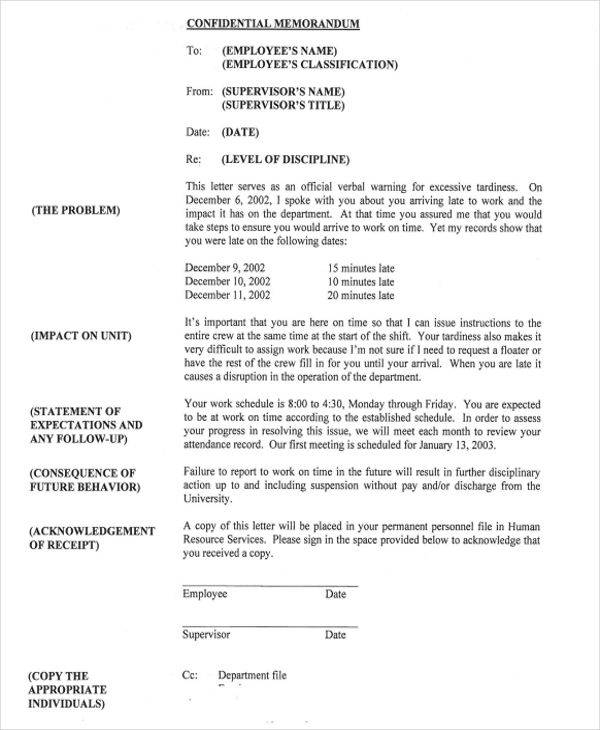 Include the date and time of the significant event or incident where the issue that required disciplinary notice is concerned.You may also see formal memos. 3. Write the impact of unit in the next paragraph. 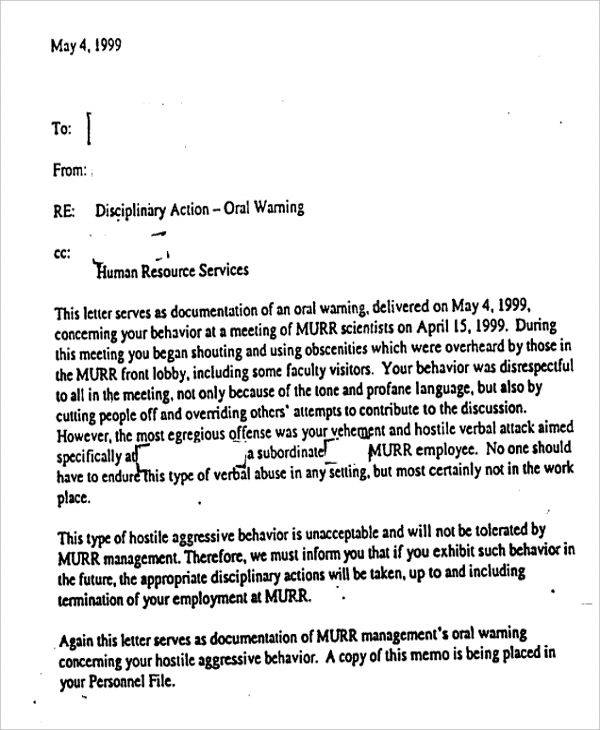 This way the employee will be reminded what the consequences of his/her actions are, how this affects the organization, and which part did he/she violate. 5. 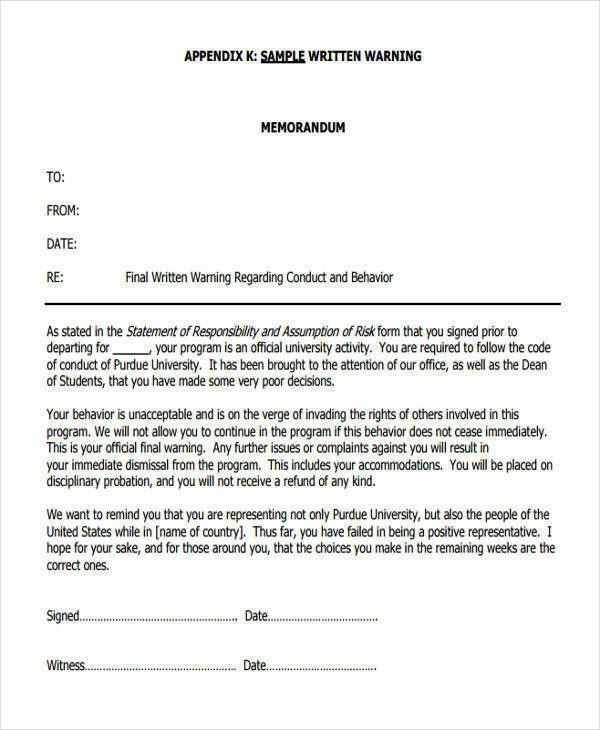 Include the consequence of behavior.You may also see professional memos. 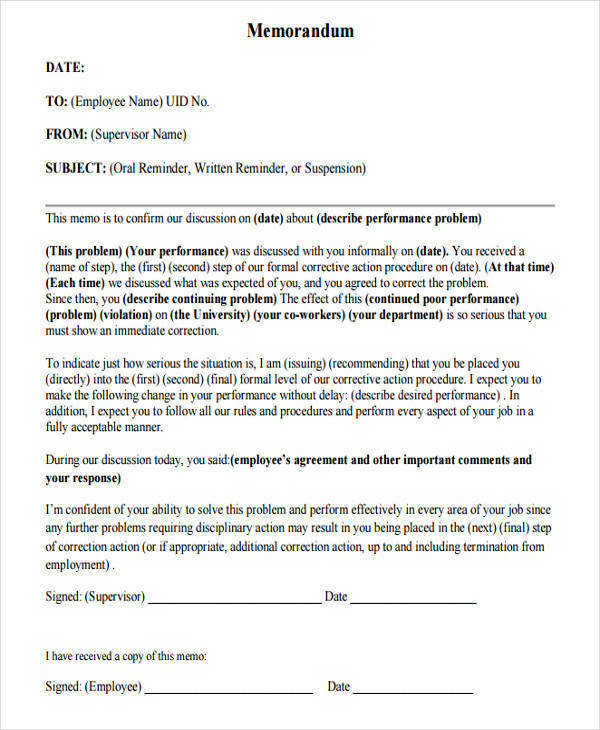 Memo sample is available online but it is still important to know some important techniques on how to write an effective and the best disciplinary memo. There are also legal samples offered whenever you need a more formal template. 1. Provide enough notice that are needed. 4. Usage of significant wording.You may also see blank memos.